Glenn has over 23 years of experience in all property types of commercial real estate in the United States, Canada, the Caribbean, as well as Western Europe having spent five years living abroad. Prior to Willow Street Capital, Glenn spent 20 years at Blackstone Real Estate, one of the largest buyers, sellers and managers of commercial real estate in the world with Assets Under Management of $111.3 billion in 2017. He has significant experience in financing, asset management, valuation, and dispositions of real estate, having personally handled over $4 billion of hotel asset sales. Most recently, Glenn was Head of Global Portfolio Management and led the Asset Management of Blackstone Real Estate hotel investments in the US (ex. public and large platform deals). Glenn serves on the Board of Directors of CorePoint Lodging Inc. (NYSE:CPLG) and previously served on La Quinta Holdings, Inc. (NYSE: LQ). 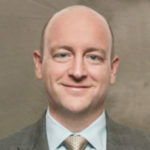 He is also active with Villanova University, serving on the President’s Advisory Council, the Advisory Board of the DiLella Center for Real Estate at the Villanova School of Business (“VSB”), and is a Business Fellow at VSB directing the Student Managed Real Estate Fund. Glenn is a member of the Hospitality Asset Managers Association (HAMA) and formerly served on Interstate Hotels and Resorts Owner Advisory Board and the Doubletree Hotels Owner Advisory Council. Glenn is a native of Colorado and lives in Delray Beach, FL with his wife and their three children. He received his Bachelor of Science in Accountancy from Villanova University.